I present a study on Educational tax introduced in Okinawa. Purpose makes clear about problem of Educational tax. Educational tax is an idea of planning system that educational administration is independent of general administration. General Headquarters (GHQ) advised Japan to introduce educational tax. However, Japan was not able to introduce it due to damage of defeat. On the other hand, Okinawa occupied by US Forces introduced educational tax. Ryukyu government existed in Okinawa. Educational administration with a source of revenue is independent of general administration. Tanaka Kotaro who took charge of educational reform in Japan asserted establishment of independent right of educational administration. It means that education becomes the same rank of judicature, legislation and administration as state power. I think that theory of education right as reform theme was shared in Japan and Okinawa. There is little research about educational tax in Japan. It is because educational tax was not introduced in Japan. Educational tax has not existed in Japan still now. On the other hand, there is much research about educational tax of Ryukyu government. The prior research about education tax of Ryukyu emphasizes that Japan didn’t introduce it. However, the theory of educational independence isn’t fully verified as a common theme. I think that educational tax can point out one nature of Japan and Okinawa. 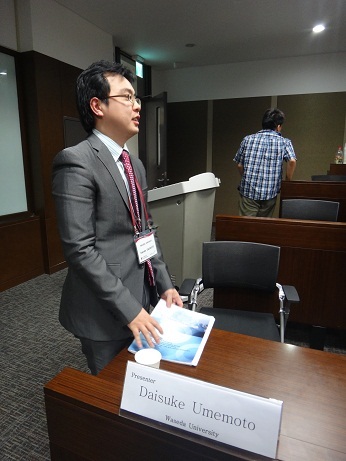 First of all, I review argument about educational reform committee in charge of educational reform in Japan. Next, I marshal reality of educational tax in Ryukyu government. Okinawa was a test site of the US forces. Finally, I compare argument about educational tax of Ryukyu with that of Japan. I think that hereafter this consideration will be useful for educational administrative reform in the future. After the war, Japanese educational persons aimed at establishment of educational independence. An idea to attain purpose is educational tax. It is because original source of revenue of educational administration needs to separate from general administration. Educational reform committee was founded as responsible organization for educational reform. It is managed directly by the Prime Minister. They had ability of political recommendation. It was inaugurated in September 1946 and was reorganized in June 1952. General meeting held 142 times in 5 years. Meeting held over 310 times at 21 subcommittees. A famous educator and social worker were appointed members of this committee. The 3rd committee in it took charge of educational administrative reform. 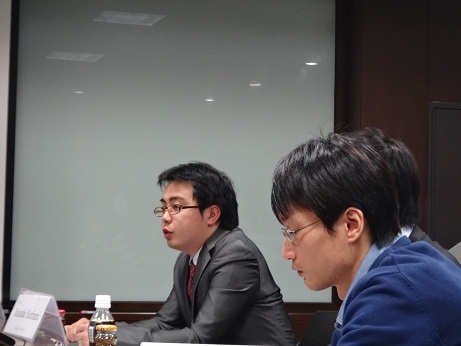 They discussed educational tax at 3rd meeting and 9th meeting. They argue educational tax from meeting beginning. It is meaningful discussion as a problem of allocation of tax sources between central government and local government. Argument about educational tax in 3rd meeting was important in the viewpoint of not only historical finance but also history of educational administration. However, argument about design of educational administration system has priority over argument about establishment of educational tax in this meeting, because the Ministry of Education (ME) was governed by the Department of the Interior (DI). A representative of the DI attended this meeting. They opposed against educational tax. It was because educational tax made a national finance system complicated. Meeting about educational tax was extended in 9th meeting. A representative of Ministry of Finance (MF) also attended this meeting. They also opposed educational tax by 4 reasons. ① What kind of expense is contained in educational expense? There are various expenses such as teacher’s salary, school plant expense and school building expenses in educational expense. The basic principle of fiscal administration is assistance and burden. If a local government has original educational expense, system of national finance has to change. ② What is definition of compulsory education? ③ Board of education is fiscally irresponsible. ④ Central government doesn’t have source of revenue to be transferred to the local government. MF didn’t consider idea of educational tax at all. MF and DI similarly opposed against introduction of educational tax. However, MF is also advising about self-supply of educational expense. Independence of educational right and financial right is unitary theme. If educational administration area could be broader, they also thought that ideal could be pursued. Their indication was also confirmation of Tanaka Kotaro’s idea. He had proposed that educational administration area divided into several blocks in Japan should have been entrusted to imperial university president or members of board of education. GHQ and DI strongly opposed it, because that idea is what aims at independence of educational right. Theory of administrative Reorganization and theory of administrative budget are a different. I think that it is important to analyze argument of 3rd meeting and 9th meeting in order to understand the subject of administrative reform in those days. Okinawa is a maximum stricken area in World War Ⅱ. In Okinawa area, US Forces separated the administrative relation with Japan on March 26, 1945. Okinawa area was divided and ruled by US Forces. It is that provisional central government as unification government on April 1, 1951. US Forces considered resident government of divided area as mere liaison and adjustment organization. These governments were unified in order to pursue efficiency of occupational administration. Code of Education for the Ryukyu unified educational law, which each government was employing in 1952. It consists of chapter 16 and article 619. There are 3 features in it. First of all, it is “educational division” where independent administration area was given as basic unit of educational administration. Next, it is “public electoral board of education” which has responsibility for management of educational division. Last, it is that “educational tax” is collected from residents as earmarked tax about education. Educational tax was expected as educational source of revenue that realized resident autonomy. Japan had refused a setup of earmarked tax, because source of revenue was centralized for the prompt postwar reconstruction. On the other hand, Ryukyu imposed earmarked tax on educational administration. Educational persons in Okinawa were positive to impose educational tax. Area of educational division was the same as administrative area. Therefore, payment qualification of educational tax and citizen tax overlapped. Regional government was responsible for imposition of educational tax. US Force and Ryukyu did not fix enforcement regulations about educational tax. Law of citizen tax was applied correspondingly to impose educational tax. It’s also no setup of amount of standard to impose. Actual situation of educational tax might be imposed more than enough. It could be called posture to abandon burden of tax administration. It was natural that civil servants of local government other than educational persons had a doubt to educational tax. Therefore, policy aim of educational tax was not able to show proper function as independent financial function. According to educational financial investigation report which education office of Ryukyu government published every year, percentage of educational tax in revenue structure of educational division of accounts in the fiscal year 1956 was 0.74%. Rate of government subsidy occupied 80.5% in it. This structure had not changed till fiscal year 1967. Educational tax was abolished by fiscal year. Reality of Educational tax imposition was severe, because confusion of postwar reconstruction process had to be face. Many servants opposed imposition of educational tax. The reason for opposing to establish educational tax law has 4 point. ①Administrative affairs will multiplex by imposition of educational tax. ②There are many objects to impose as independent tax besides education. ③The amount of educational budget demanded by the member of the Board of Education may not be proper. ④The range of finance that board of education should bear must be shown. There are various views about independence of educational right. This argument is the locus of educational community in Japan after the war. Tanaka Kotaro’s idea about independence of educational rights is a strong national administrative viewpoint. He had the idea that independent educational administrative official had jurisdiction over regional educational administration. Educational reform committee had adopted Tanaka’s idea as draft proposal of reform. Independence of educational right is not independent of teacher’s right. Argument about education tax in Japan had a strong meaning of national administrative and fiscal reform. Educational tax was not gave priority to establish than postwar reconstruction. It was the same that government officials other than educational persons of Japan and Ryukyu criticized educational tax. In 1961, Chairperson meeting of local government in Ryukyu issued a statement about educational tax. ①A direct benefit relation doesn’t exist between tax and administration. ②Plan of local government’s fiscal policy is difficult by imposition of educational tax with high uncertainly. Local section in the department of internal affairs of Ryukyu government expressed view on educational tax in 1963. ①Educational tax is nearly earmarked tax. And, tax administrative department doesn’t have a direct profit relationship with expenditure of educational tax. There is not earmarked tax without profit relationship. It is because there is taxpayer without benefit about education. ②Educational tax should be added in citizen tax system with tax capacity and viewpoint on principle of equity. ③There is a possibility that educational tax draft a budget of education with harmful effect. It may emphasize only demand of educational administration. Basic of taxation system must check tax capacity and balance of administrative system. I think that educational tax was not able to solve a basis of this problem. And, I think that blocking of educational administration was required in order to establish educational tax. Tanaka Kotaro also asserted blocking of educational administration as idea of educational reform. “Blocking local education law” was discussed by 10th meeting in 3rd committee of educational reform committee on November 20, 1946. Then, ME also advocated it. This idea required allocating state liability against local educational block. It was finally approved at the general meeting of educational reform committee. Blocking of educational administration was tested in Ryukyu. This system realized by unionization of educational division. However, it was insufficient scale of administration and finance. Organization design of Ryukyu government had not only national scale but also local government side. If educational tax reached efficiency, independent educational finance system should have designed Okinawa as one area. Ryukyu government demanded reform of resident’s original educational tax to US Force. It converted plan of occupation policy. They plotted educational president and central board of education. It is independent of president in Ryukyu government. But, US Force denied their reform plan. It is capable of establish education as 4th state power. US Force was apprehensive about it. This aspect was the same as Tanaka Kotaro’s educational reform plan in Japan. Postwar in Japan required establishing “democratization of education” and “decentralization of administration’s power.” It can say the same in Okinawa. I think that argument about educational tax should be treated as important viewpoint of educational reform to reexamine reorganization of general administration system. 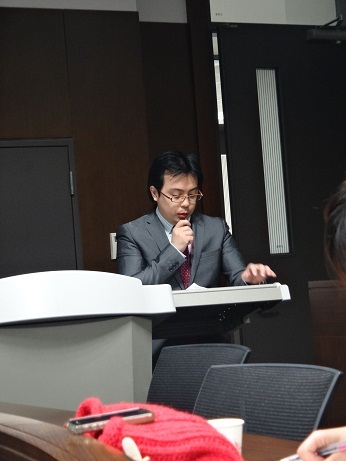 This presentation revealed true nature of educational tax to argue as viewpoint of administrative reform in Japan and Okinawa after World War Ⅱ. First of all, I conformed argument about educational reform committee that took charge of educational reform in Japan. Educational tax was denied as idea to break comprehensive system of government. Next, I marshaled reality of educational tax in Ryukyu government was highly esteemed. However, there are many strong criticisms from administrative point of view. I understand that it was breaking down as actual condition of administrative system. Finally, I compared argument about educational tax of Ryukyu with that of Japan. I think that educational tax should be treated as one of argument on national finance. I think that side of validity and efficiency in decentralization should be required on considering this problem. Educational administration reform of Japan and Ryukyu aimed at shift of centralization and correction of bureaucratic problem, establishment of educational financial right. However, educational tax was not realized in Japan. Educational tax of Ryukyu also had many vices of system. Independence of educational right did not realize in both areas. Argument about educational tax suggests that postwar educational reform was not realized by democratization of US Force. It was a problem of social structure reform to continue since prewar days. At least, I think that it appeals necessity to recognize this problem.